"Man melded with machine vs gaint transformers." 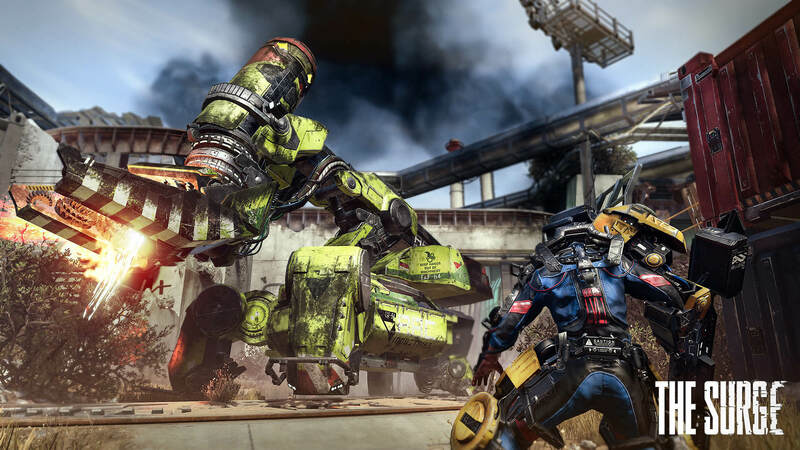 Focus Home Interactive has release a launch trailer for their upcoming game, The Surge. It is set in a dystopian future and puts you in the role of Warren arriving for his first day at work CREO. Focus Home Interactive has said, "Visceral combat where targeting different limbs directly affects the loot you will receive. Positioning, speed and stamina management are all stated as being key to emerging victorious, and the most difficult options reap the greatest rewards." The graphics look phenomenal and the combat looks just as good. We get a glance at a fight between Warren and his suit fighting another human in his suit and just a glance at a giant robot he will have to fight as well. Needless to say it looks epic and the game releases tomorrow May 16th.